In the design of a kitchen, so important is a good distribution how to choose the most suitable materials, since it is a stay especially sensitive to the activity that we do in it: cutting, kneading, frying, baking, lathering and washing are actions that imply some dirtiness and therefore it will be necessary to take it into account. 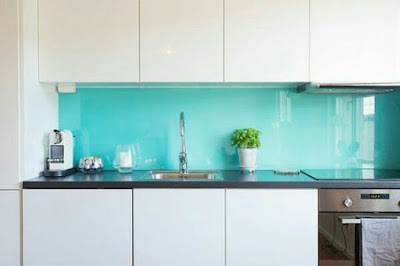 The front wall of the kitchen (splashback) is one of the areas that tend to stain more due to fats, vapors and splashes that inevitably occur when cooking, so it is very important that it is coated with a material that is easy to clean and that can bring a decorative touch to the design. The glass or tempered glass for the front of the kitchen is a material that brings luminosity, elegance and, above all, cleanliness, to this room of the house. It favors the reflection of light and is the perfect background to bring color and life to the kitchen. 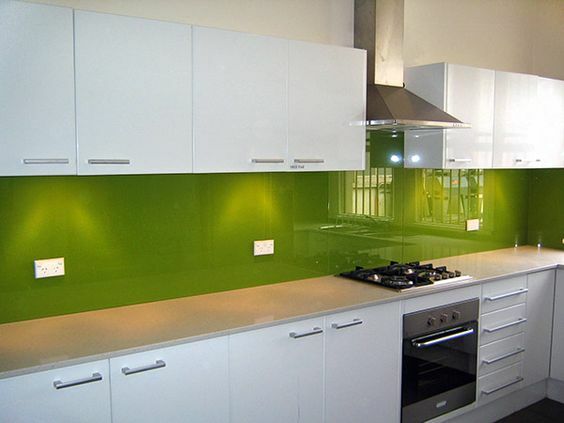 With glass it is possible to bring modernity and distinction to the kitchen. The glass fronts are designed to create color, reflections and subtle play of light. In addition, it is an easy to clean material, so behind the sink and as a front on the perimeter of the countertop it becomes a perfect shield for dirt and difficult splashes. The great advantage we offer you with this material is its neat, modern and elegant appearance, its ability to reflect light (expanding the brightness of the kitchen), the possibility of lacquering it in all kinds of colors, (turning it into one of the materials more versatile that exist at the aesthetic level), and their ease of cleaning, being resistant to almost any chemical formula cleaner without deteriorating. In addition, because it can be ordered to size in large format plates, they fit perfectly in the right space eliminating the happy joints that always clog the filth. Although the most usual is to place it between the countertop and the lower part of the tall furniture, it can be used as a covering for the whole wall or in large areas where only one decorative bell is located, for example. 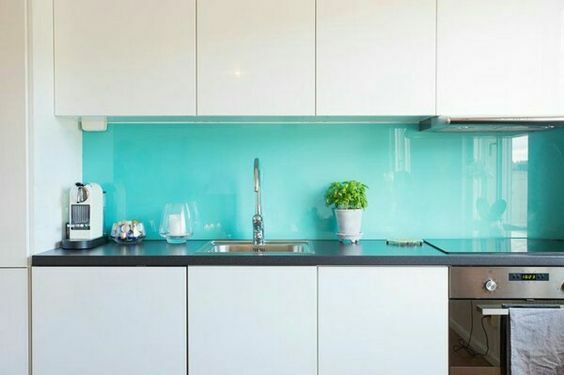 In Affordable Interior Paiting, we present different ways and styles of installing tempered glass to decorate your kitchen, so that in addition to a single neat image show a panorama with style and elegance. Undoubtedly, more and more people contact us requesting our services for the installation of this material for their kitchens, because a definitely innovative project. We have unique offers and promotions, so you can not miss the opportunities that come your way in life, this is one, take advantage. Article created based on: J. Arribas (2013), Pedro Rodriguez Ruíz (2015), Decofilia (2015).